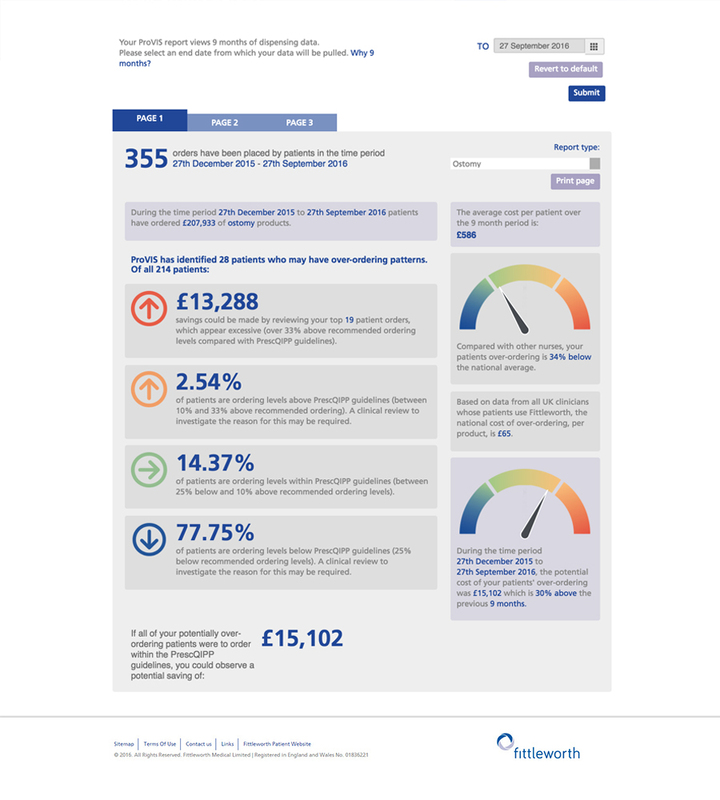 Clinical Respect gives those responsible for commissioning and prescribing the confidence that patients are receiving the best possible care while maintaining best value for the NHS. We can say this because Clinical Respect is a tried and tested formula that has seen us win prestigious awards for service alongside consistently positive feedback from patients and practitioners. For more information about Clinical Respect, click here. 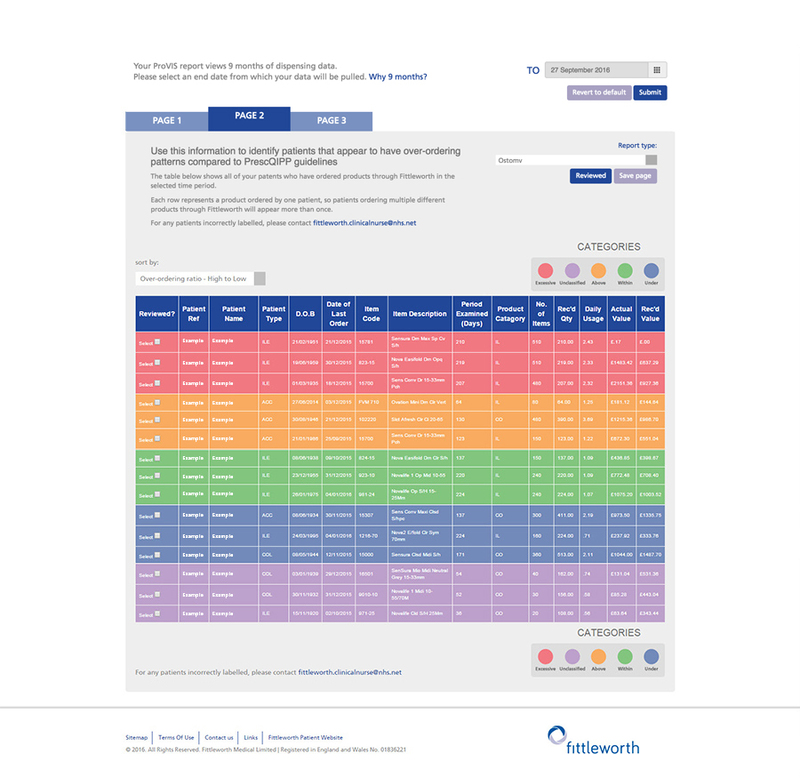 At Fittleworth we understand the cost pressures on the NHS and, as part of our Clinical Respect values, have produced ProVIS – a free, online, patient dispensing data management tool. ProVIS provides you with useful visibility to patient dispensing data covering prescriber costs and product use across the entire product market. Due to the breadth of available data, it is able to provide many cost saving opportunities, without impacting on patient choice. Combining our innovative and award winning home delivery service with our Clinical Respect values and ProVIS, our aim is to work alongside health providers to transform patient care and management for stoma, urology, continence and wound care. 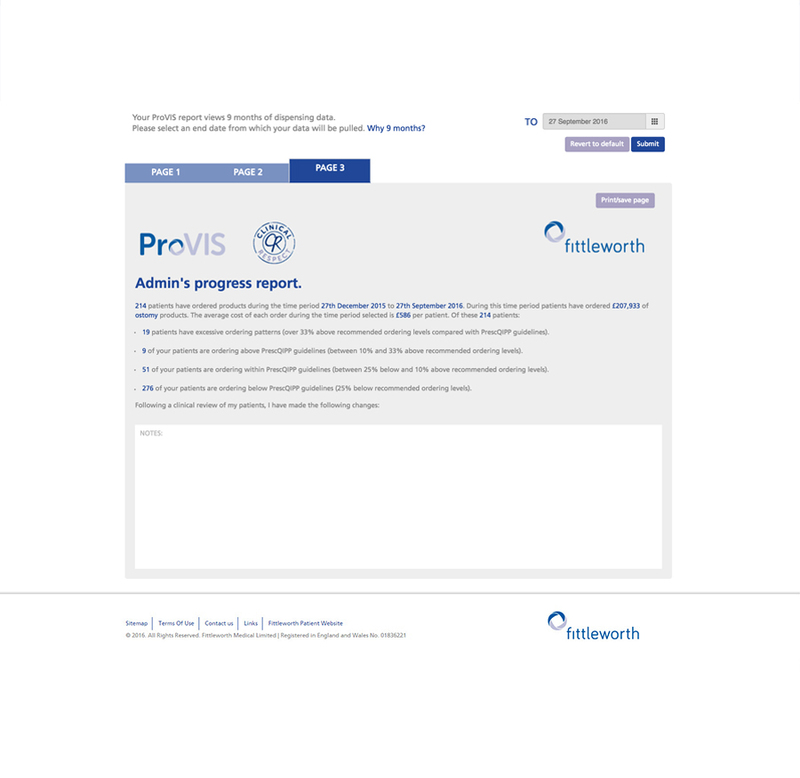 For further information on ProVIS click here, or to register for reports for your commissioning group, click here.